Wrington Dental Centre is a two-surgery private dental practice situated in the village of Wrington, North Somerset. 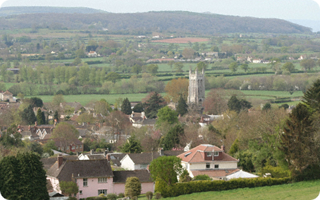 The village sits in the beautiful Yeo Valley at northern edge of the Mendips. It is approximately 3 miles South-East of Bristol Airport. Wrington Dental Centre was established by John O’Brien, and opened in January 1995 at premises on Station Road, Wrington. In August 1998 the practice expanded as a second surgery was opened. 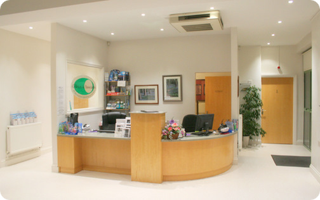 In December 2005 the practice moved to its current premises in Westward Court. The building adjacent to the practice will be having scaffolding erected to carry out maintenance. Unfortunately the two parking spaces directly outside the practice will be suspended whilst this work is taking place. We have arranged for two temporary car parking spaces to be available for the duration outside the courtyard wall beyond the entrance to the courtyard, and these will be signed. If any of our patients requires the use of adisabled parking space when attending, please ring in advance and our reception staff will ensure that you are able to access the courtyard with your vehicle. We apologise for this inconvenience, which is beyond our control.